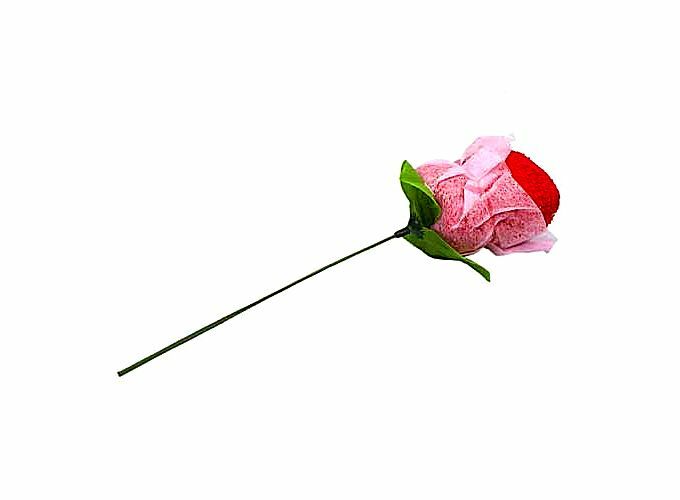 Red Towel Shaped Rose Flower with White Mesh Wrapped Wedding Decoration J2128RE, Buy at lowest prices. White mesh wraped flower with a green plastic stick. Washcloths are rolled to a towel flower. Rose flower with green plastic stick. 1 x Red Towel Shaped Rose Flower.